Did You Notice? … That racing is getting serious lately? In a sport that is regularly placed in a shadow of its past (then again, what isn’t?) it is always important to have a solid show on the racetrack each week. And though we have arguably seen that more times than not in 2018, nobody will really remember much if it doesn’t involve the final laps for the race win. 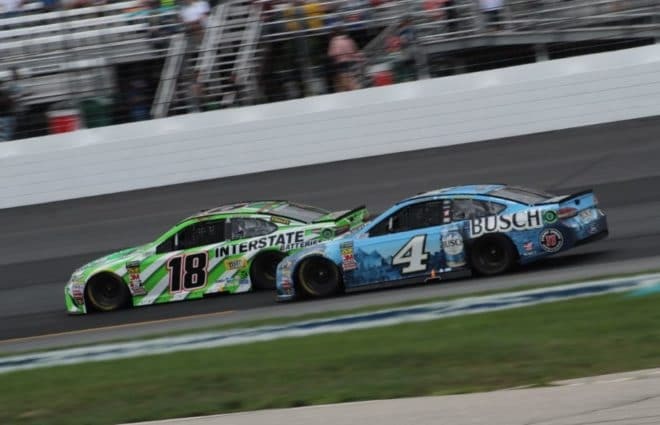 Enter last weekend’s New Hampshire outing, where Kevin Harvick was relying on Kyle Busch for braking assistance for a good four laps up front, before bumping him just right in Turn 1 with eight laps to go. Harvick went on to win the race, his sixth of the year in the Monster Energy NASCAR Cup Series, and Busch was pushed back to finish second. Though those two finishing 1-2 could not have been less surprising (and perhaps disappointing to some), it was the fashion of it all that made it special. Sunday was the first solo race weekend for New Hampshire in more than 20 years, making it one crucial race for the circuit. Will one great finish lay the grounds for the track’s future? Probably not, but what would that mean anyway? The odds of New Hampshire seeing a second date looks bleak, and numerous drivers are more in favor of one race per track anyway. 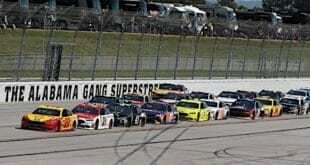 But Sunday showed that New Hampshire has got the stuff for good racing and the finish highlighted that. 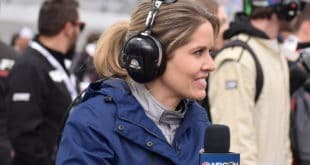 Outside of just the track, the bump-and-run mentality seems to be present in the sport in 2018. No, it’s not happening every week, and it would be silly to expect it that way. How often are drivers put in that situation in the final laps for a win? Usually, a Martin Truex Jr. has a couple seconds clear of second place with only lapped traffic separating him from victory. Does one classic finish define a whole season? Definitely not, but it can’t be too hard to look back on the ones that made us smile this year. That 2.709-second average margin of victory may be skewed. New Hampshire was great but it came out to 1.877 seconds. Same with Chicagoland. Then, you have Truex’s vicious margins at Auto Club and Sonoma that blows the average out of the water. Did You Notice? … That the three big finishes have involved the one and only Kyle Busch? Additionally, Sunday was the first time he came out on the losing end. Before New Hampshire, we had Busch and Kyle Larson test the durability of Chevrolet’s and Toyota’s 2018 chassis at Chicagoland Speedway. There, the two passed for the lead four times on the final lap before Busch hit the checkered flag first. And if you jump back another couple months, it was Busch and Larson again at Bristol Motor Speedway, where Busch gave Larson the front bumper with seven laps to go. 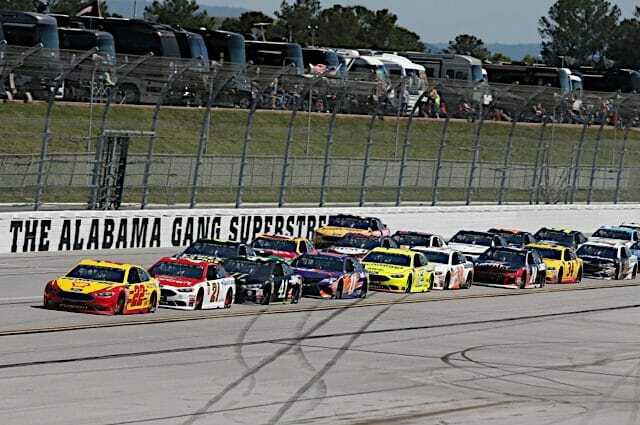 Sunday’s run, where Busch came out in second, further defined Busch’s attitude toward this style of racing. Would he say the same thing when he lost as he does when he wins? The jury is arguably still out on that but he seemed as though he saw it coming. There was a level of understanding there which shouldn’t be confused with contentment on Busch’s end. Did You Notice? … How bumping has been accepted this year? 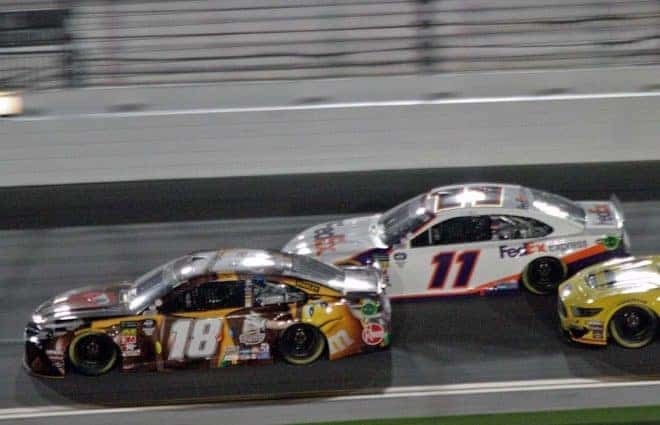 One of the most shocking forms of the bump-and-run was back in 2016 when the now-retired Carl Edwards performed it masterfully on Joe Gibbs Racing teammate Busch at Richmond Raceway. After that deal, Busch wasn’t as understanding, avoiding questions and leaving the track with little feedback for his teammate. Though circumstances are always different, this year seems to have a different level of acceptance of aggressive, had-to-do-it type of racing. Is it worth making a potential enemy even if it’s in the bubble of apparently acceptable racing? 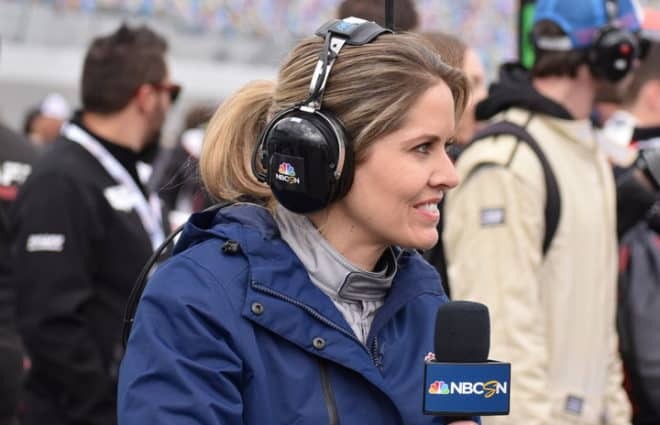 Debated on this week’s Frontstretch Podcast with Tommy Joe Martins, that line may differ from driver to driver, but it’s never a good deal to have a guy hot on your tail… even more than usual. 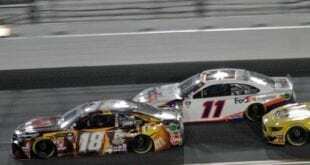 So, in a season where contact is both expected and accepted in the final laps, certain drivers may be looking in their mirrors once the playoffs kick off in September. But hey, they won the race, so it’s worth it. Right? 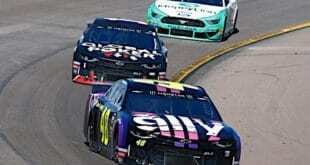 Looking forward to Pocono Raceway and Iowa Speedway this weekend, the XFINTY Series entry list has gained more interest than usual for the weekend to come. Kyle Benjamin will drive the No. 18 JGR Toyota. It will be his first race since Atlanta back in February and it can be a big one, too. The 20-year-old lost this race in a photo finish last year with Ryan Preece. A similar outing can bring Benjamin’s name back in the conversation for 2019. 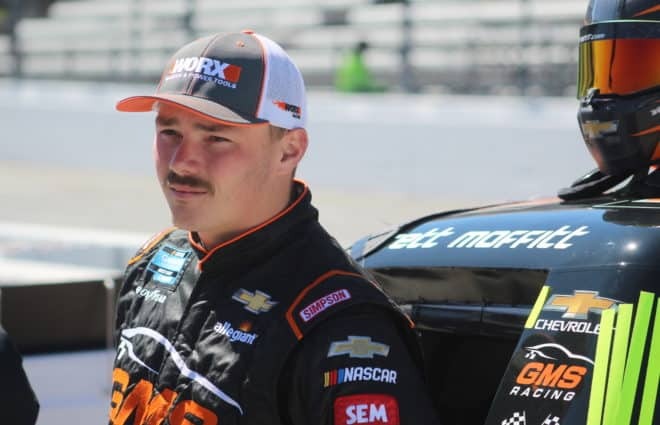 Casey Roderick will race for GMS Racing in its No. 23 Chevrolet. Who is Roderick? The Georgian won in the ARCA Racing Series back in 2010 and recently won a CARS Super Late Model Tour race at Nashville in April. But Saturday’s U.S. Cellular 250 will be his first XFINITY start since 2012, so he will have some learning to do. Thankfully, he’ll have a quick car to assist him. 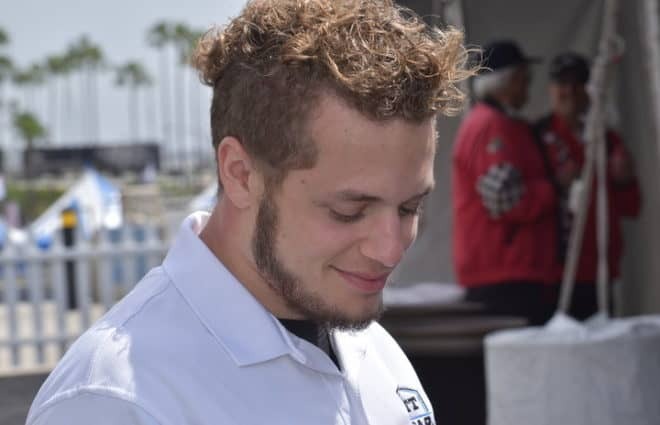 Max Tullman will continue his fast-paced racing career to the XFINITY Series, running his debut in Saturday’s race. Not only a new driver for the series but a new team, as Tullman will run his own No. 26 Ford for Tullman-Walker Racing. Where will he place in an underdog-heavy series?